888poker ambassadors Ana Marquez, Parker Talbot and Vivian Saliba also bagged in flight A at 888poker LIVE London. 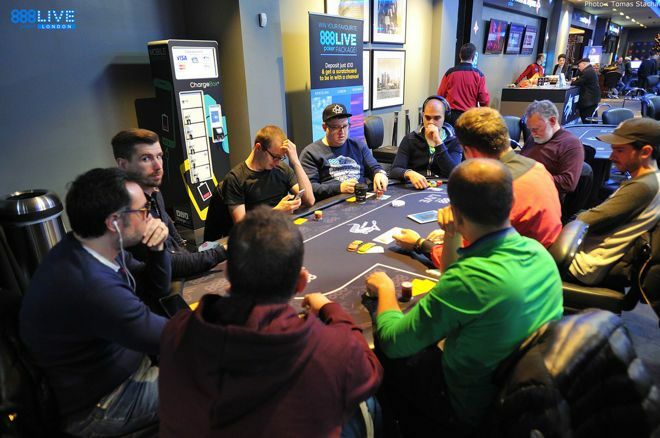 The £1,100 Main Event at the 2018 888poker LIVE Festival London is off to a great start, as 76 unique players showed up for the first of five starting days. On top of that, another 21 re-entries were purchased to create a field of 97 entries on Day 1a at the Aspers Casino at Westfield Stratford City. After 12 levels of 30 minutes each, it was Antoine Labat that turned his starting stack of 30,000 into ten times as many, bagging up 300,500 in the early morning hours. Labat finished ninth in the 2018 World Series of Poker Main Event in Las Vegas for $1 million and very recently added another six-figure score to his poker resume. 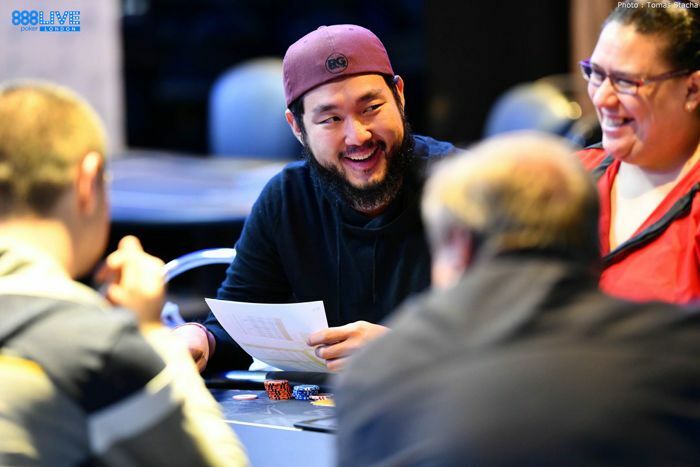 Among others, Labat faced John Cynn back then in Sin City and the 2018 WSOP Main Event champion also made the trip over to London to take part in the festival in London. Cynn bagged up 76,000 on Day 1a and now has two days off before returning for Day 2 on Sunday, December second, 2018. 2018 WSOP Main Event champ John Cynn bagged in flight A. Other big stacks and notables that bagged and tagged include the Brits Scott Adams (272,500) and Neil Mahamdi (264,000), Christopher Yong (180,500), Chris Da-Silva (126,000), Benny Glaser (101,000), and Harry Lodge (79,000). Team 888poker saw the ambassadors Ana Marquez (95,500), Parker Talbot (64,500) and Vivian Saliba (60,000) advance, while Dominik Nitsche and Sofia Lovgren were among those that busted. Terry Jordon took several shots at running up a stack, word on the street is that he fired at least four entries already, but didn't find a bag. Other big names that came and left without chips were Steve Watts, Sam Grafton, Conor Beresford and Andrew Hulme. Beresford was ousted in the final level of the night when he lost a flip with ace-jack suited against the pocket eights of Glaser. While the entire poker room of the Aspers Casino was buzzing with two Main Event satellites, Day 2 of the £2,200 High Roller, Day 1a of the £1,100 Main Event and the cash game tables in full swing, another Brit that gained a lot of popularity in the previous year was spotted in the tournament area. 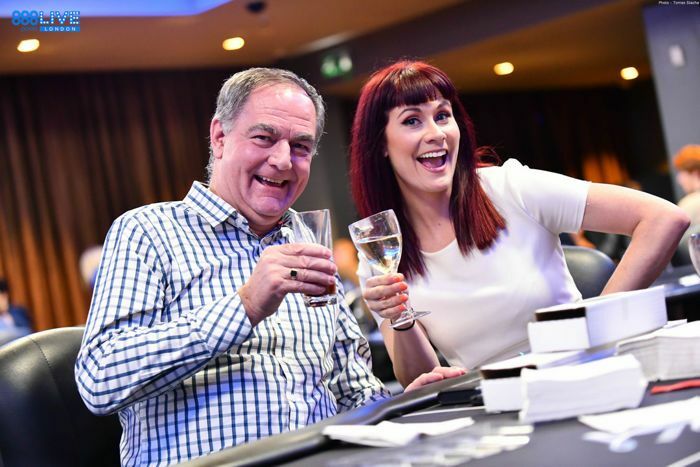 None other than John Hesp sat down with PokerNews' Sarah Herring for a quick chat on Facebook live and was all smiles. The fairytale story of Hesp saw the Brit on the final table of the 2017 WSOP Main Event and he finished fourth for $2.6 million. The Main Event continues with two starting days each in the next two days. Day 1b is already underway while Day 1c kicks off at 6 p.m. also on Friday. Furthermore, Day 1d and 1e take place Saturday with the final heat in a turbo format and levels of 20 minutes each. Follow the live updates here.